 SharePoint evolves, and so does Valo Intranet. Our mission is to provide you the turnkey intranet experience you need, including all the most wanted features in a packaged solution, evolving over time. Now we are bringing updates to four of them; Valo Intranets on Classic and Modern, Teamwork and Mobile App! SharePoint now has the so-called Modern experiences which include a streamlined authoring experience, responsive design, and a lot more. Valo already has a version of the intranet product that embraces these new experiences. We are fully compatible with Microsoft’s Modern features and always aligned with them, so whatever comes out of the Microsoft roadmap, Valo customers will be able to enjoy them as well!  The Classic features of SharePoint will continue co-existing with the Modern ones. The Classic version of Valo is a best-selling product that continues being developed actively now and in the future. Valo Intranet Modern is the turnkey intranet that leverages the Modern experiences of SharePoint, such as Modern Pages and Communication Sites. We add our secret sauce, turning it into a true turnkey intranet experience. With Valo Modern, you will enjoy all the features Modern SharePoint offers plus more! If you don’t know which version of Valo you are using – Classic or Modern – you are probably using Classic. It is the full-blown intranet package that has three different layout options and a full set of features. Get a more community-like feeling with the birthday web part that will show the birthdays of your employees. The web part introduces also the possibility to congratulate the birthday hero with a private message. This web part is also available in Valo Modern. Talking about birthdays – Valo Teamwork is celebrating its first year! Available as an add-on or stand-alone feature, Teamwork helps you to keep your collaboration tools and groups easily organized. Valo Teamwork gathers your multiple workspaces under one page. Valo’s native Mobile App has, and is, available for all Valo Intranet Fresh customers for free bringing you your intranet to your mobile phone! In this release, Valo Mobile App is going through a massive user interface facelift. The release is bringing you the best features of the intranet with company branding. When launching the app, you will see the intranet you are accustomed to with the company logo and colors, making you instantly feel at home. You can interact with the social features of commenting and liking and play videos embedded to news without leaving the app. In the new UI, the news listing is browsed by swiping up and down the list. Highlight news is lifted on top of the screen and other news items are swiped from left to right. The number of comments and likes are displayed on the news with an indication whether a user has already commented or liked it. Mobile app is supporting rich content meaning all the images and videos can now be seen and played without leaving the Intranet! The user experience is better than ever and now the ones traveling frequently and working on-site have the same possibilities to get involved than the users on their desktop intranets. Are you already a Valo Intranet Customer? If you are already a Valo Fresh customer, great news! All these new features are available to you and included in your Fresh subscription. Contact your Valo Partner to learn more. You can download the Mobile App for free from AppStore for your iPhone or Google PlayStore to your Android device. If you already have a Valo Mobile app in your use, you get the new version just by updating the existing version on your phone. Valo Mobile App is compatible with Valo Classic. The Mobile App for Modern will be released later, estimation is in early 2019. Valo is completing your digital workplace by offering beautiful, modern and easy-to-use products on top of your SharePoint and Office 365 environments – in classic and modern! If you would love to see how Valo Modern works, join our upcoming Valo Modern webinars October 31st or November 1st!